1. Canceling lisence to those who have dug wells but didn't not use them for agriculture. 2. Chicken to be sold in freezers only and the veterinary teams must do check ups regularly. 3. 15% of chicken supplies must be from local produce. ERBIL, July 30 (AKnews) – A source from the Ministry of Agriculture and Water Resources announced that so far 20 types of fruits and vegetables have been banned in the region since the beginning of this year. The ministry has decided to add more types of produce from August. Director of follow-up and planning Anwar Omer said the barred fruit and vegetable types include watermelon, melon, onion, grape, aubergine, potato, courgette and many more. Omer added that the ministry will ban both apple and pomegranate next month due to full ripening of home fruits. ERBIL, July 31 (AKnews) – The Kurdistan Region's Ministry of Agriculture and Water Resources has given permission for six fish projects and initially accepted creating 20 new fish projects within six months in the region. Media supervisor Sabir Ibrahim at the General Directorate of Animal Resources and Veterinary said: "The increase of these projects will raise the size of fish production." 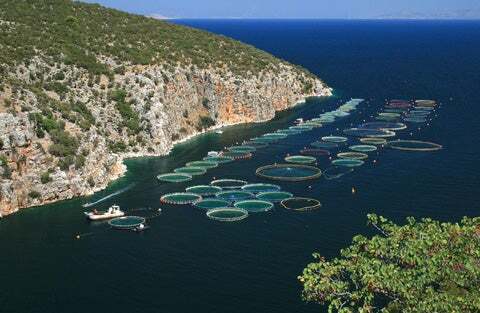 Ibrahim added that the directorate has given out 2,531 million fish fingerlings in the Dukan project in Suli. So far 68 fish projects have benefited from the distribution of fish fingerlings. The distribution continues, added Ibrahim. ERBIL, August 15 (AKnews) – The Kurdistan Region's Ministry of Agriculture and Water Resources has signed a memorandum with the Agri-Food and Biosciences Institute (AFBI) to enhance agriculture relations and to undertake research into crop, environment, food and animal production. Media official in the ministry Majed Nourdin said: "A memorandum of understanding was signed between the Kurdistan Regional Government’s Minister of Agriculture Sirwan Baban and AFBI chief executive professor Seamus Kennedy in Belfast in Northern Ireland. "The AFBI will support the Ministry of Agriculture in undertaking science research in agriculture, animal resource, food, economy and environment for some years. AFBI, formerly the Agricultural Research Institute of Northern Ireland, was established in 1927 with the aim of undertaking research into crop and animal production. During his visit the minister also reached an agreement with the Irish Department for Environment, Food and Rural Affairs (DEFRA) to assist Kurdistan’s Ministry of Agriculture to solve the lack of water in the region. ERBIL, August 18 (AKnews) – The Kurdistan Region's Ministry of Agriculture and Water Resources said the strategic plan in producing wheat, vegetables and fruits has achieved good results but has yet to achieve its aim due to an insufficient budget. Sirwan Baban said: "Until now the process of implementing the five-year strategic plan of Kurdistan agriculture has been working in a normal way but the budget provided to the ministry is little. "Wheat production increased from 300,000 tons to 500,000 tons and vegetable production rose from 55,000 tons to 60,000 tons in the last three years. "Chicken meat increased from 36,000 tons to 55,000 tons and eggs from 336,000 to 430,000 tons in the same period. These are practical things to improve the agricultural sector in the region. "In the seventh cabinet of the Kurdistan Region the aims are increasing, especially in food and water security." In 2012 the Kurdistan Region's budget only eight percent and two percent was allocated for the ministry. ERBIL, Aug.25 (AKnews)- A campaign for warning the citizens against the consequences of wasting water and the legal punishments for doing so will be launched soon in the Kurdistan Region, said minister of agriculture and water resources. Water is a national wealth and it should not be protected, said Sirwan Baban. Baban said for better controlling the waste of water by the citizens, the Ministry will assign water consumption calculators at houses soon. As for the issue of lack of water in Kurdistan and the threats on drying out the underground water, the minister said from now on the Ministry plans for construction of more dams and for putting a limit to the artisan wells which deplete the underground water. 13 projects of constructing big and small dams are now underway and plans for constructing 40 more are being laid, according to Baban. ERBIL, Sept. 9 (AKnews) – Kurdistan Regional Government's (KRG) Ministry of Agriculture and Water Resources has announced subsidy plans to support poultry projects in Kurdistan Region, a Ministry source said Sunday. Azad Khoshnaw, who is the Media Secretary of Directorate of Animal resources and Veterinary in the Ministry, said a package of IQD3 billion (about US$2.5 million) was allocated in subsidies to poultry projects in the region in an attempt to encourage a local increase of poultry products. "Kurdistan Region has 983 animal meat projects, 28 egg hatcheries, 8 poultry slaughterhouses,in addition to 13 projects that provide eggs for the hatcheries." said Khoshnaw, which can help in providing support to the poetry projects. There is a huge demand on poultry projects in the Kurdish region, especially for eggs. Many investors have filed bids with the Ministry showing willingness to open new projects for egg production, according to Khoshnaw. "By the time all these projects reach their production level, the egg production will increase to 700 millions eggs per year - just enough for the local consumption. Kurdistan Region consumes 650 million eggs annually. 52 companies participated in the bidding auction.